Sonia and Anthony are always on the lookout for potential broodmares. Each year all sales catalogues are looked through for families or branches of families they wish to acquire. This can be a painstaking process, requiring much patience. While they remain open minded in assessing any potential acquisitions, the principal of the four P's, Pedigree, Presence, Performance and Price proves to be time and time again the most important factor in reaching the final decision. Some mares residing at Airlie at the moment were bred here, some were bought as foals, yearlings and as broodmares. The list below contains some mares that have resided at Airlie over the years and have been some of the most successful producers of racehorses. Mild Intrigue won a 3-y-o maiden on her racecourse debut at Sandown. She became the dam of six winners including Margarula, a filly by Doyoun, who won the Darley Irish Oaks Group 1 at the Curragh in 2002. She was also the dam of Listed winner Wild Heaven (IRE). More recently another group performer in the family was Gifted Girl who won the Pipalong Stakes Listed and was placed in the Group 1 Beverley D Stakes at Arlington in 2013. Gifted Girl is by Azamour out of a Selkirk sister to Margarula. Airlie have retained a full sister to Gifted Girl, a filly called Finagle who is in training with Paul Cole. Bold Example was purchased in the 1980's. She was the dam of Grade 2 winner French Charmer, herself dam of Champion Miler Zilzal. She was also grandam of Group 1 winners Polish Precedent and Culture Vulture.Bold Example had six colt foals in a row and it was only her last mating to Northern Baby when she produced a filly that was retained. She was called For Example and although she failed to win she was the dam of the stakes winner Viz who was retained by Airlie. Viz is the dam of high weight 2-y-o Viztoria. Bought at the Arc Sale in Paris from Moyglare Stud. Irish Bird, a winner in France, was the dam of seven winners including Assert, the champion 3-y-o in France in 1982, the winner of six races including the Irish Sweeps Derby Group 1, Prix du Jockey Club Group 1, Benson & Hedges Gold Cup Group 1 and Joe McGrath Memorial Stakes Group 1. She was also the dam of Bikala, the champion 3-y-o in France in 1981 and winner of three races including the Prix du Jockey Club Group 1 and Prix Ganay Group 1 and Eurobird, a filly by Ela-Mana-Mou, the champion 3-y-o stayer in Ireland in 1987 and winner of four races including the Jefferson Smurfit Memorial Irish St Leger Group 1 and the Blandford Stakes Group 2. Fair of the Furze was bred by Airlie Stud. Fair of the Furze, the winner of four races including the Tattersalls Rogers Gold Cup Group 2 was the dam of five winners including White Muzzle, the winner of six races including the Derby Trofeo Mercedes Benz Group 1 and the Grand Prix de Deauville Group 2. She was also the dam of Grosser Preis des Casino Hohensyburg - Deutsche St Leger Group 2 winner Fair Question and Listed winner Elfaslah, the dam of Dubai World Cup Group 1 and Prix Jean Prat Group 1 winner and sire Almutawakel. Members of the family that have been retained by Airlie include full sisters Donnelly's Hollow and Fair Sailing and stakes placed Trullitti. Bought for 18,000 in partnership with Kirsten Rausing. She was a winner at 2 and became the dam, grandam and great grandam of numerous top class racehorses. Six time winner Alleluia's wins included GNER Doncaster Cup Group 3. Alleluia was in turn the dam of Allegretto who won the Prix Royal Oak Group 1, Bet365 Lancashire Oaks Group 2, wbx.com Henry II Stakes Group 2, ABN Amro Goodwood Cup Group 2, Goffs/DBS Park Hill Stakes Group 2, she also finished second in the Darley Yorkshire Oaks Group 1 and the Prix Royal Oak Group 1. Jude, the dam of Quarter Moon winner of the Moyglare Stud Stakes Group 1, who was also second in the Entenmann's Irish 1,000 Guineas Group 1, the Vodafone Oaks Group 1, the Darley Irish Oaks Group 1, the Debutante Stakes Group 3 and third in the Nassau Stakes Group 1. Quarter Moon was the dam of Meon Valley Stud Fillies Mile Group 1 placed You'll Be Mine and Leopardstown 2000 Guineas Trial Stakes Group 3 placed Born To Be King. Jude was also the dam of Entenmann's Irish 1000 Guineas Group 1 winner Yesterday, dual Group 2 placed All My Loving, Group 3 placed Betterbetterbetter, Listed placed Hold Me Love Me and Magicalmysterytour..
Last Second, winner of the Vodafone Nassau Stakes Group 2, Sun Chariot Stakes Group 2, CL Weld Park Stakes Group 3 and second in Coronation Stakes Group 1. She is turn was the dam of Classic winning sire Aussie Rules. His four wins included Poule d'Essai des Poulains Group 1, Shadwell Turf Mile Stakes Group 1 and Somerville Tattersall Stakes Group 3. She was also the dam of Listed winner Approach who herself was the dam of Derrinstown Stud Derby Trial Stakes Group 2 winner and Dubai Duty Free Irish Derby Group 1 and Ladbrokes St Leger Stakes Group 1 placed Midas Touch. The Listed placed Darshaan filly Intrigued, another daughter of Last Second was the dam of Michelangelo who won the Casco Cocked Hat Stakes Listed and also finished third in the Ladbrokes St Leger Stakes Group 1 and the Bet365 Gordon Stakes Group 3. Listed winner and Moyglare Stud Stakes Group 1 placed Alouette was the dam of six time winner Alborada whose wins included the Dubai Champion Stakes Group 1 (twice), Vodafone Nassau Stakes Group 2, Pretty Polly Stakes Group 2 and CL Weld Park Stakes Group 3. Alborada was the dam of Listed winner Alvarita who herself was the dam of KPMG Enterprise Stakes Group 3 winner Alla Speranza. Alborada was also the dam of Group 2 placed Albion and Listed placed Albaraka. Alouette was also the dam of Listed winner Alma Mater and three time Group 1 winner Albanova, who was also the dam of Listed placed Albamara. Another dual winning daughter of Alouette, Alakananda was the dam of Listed winner Dragon Dancer who finished second in the Vodafone Derby Group 1, Prix Eugene Adam Group 2 and MBNA Europe Bank Chester Vase Group 3. Arrikala won three races including Anheuser Busch Curragh Cup Listed, she also finished second in the Blandford Stakes Group 2, the EBF Eyrefield Race Listed and third in the Kildangan Stud Irish Oaks Group 1. Stormette, a half-sister to Storm Bird, the champion 2-y-o in Europe in 1980 whose five wins included William Hill Dewhurst Stakes Group 1, National Stakes Group 2, Anglesey Stakes Group 3 and Larkspur Stakes Group 3, herself was a winner at 3 and placed in the Shanbally House Stud Stakes Listed. She was the dam of five time winner Marillette whose victories included May Hill Stakes Group 3 and Tattersalls Musidora Stakes Group 3. She was also the dam of Storm Trooper whose seven wins included Hollywood Turf Handicap Grade 1, Feilden Stakes Listed, San Marion Handicap Listed, he was also placed in Arlington Handicap Group 2, San Luis Rey Stakes Group 2, Hialeah Turf Cup Group 3, Anglo African Holdings Autumn Stakes Listed, Westminister Taxi Insurance Gordon Stakes Group 3 and Winter Hill Stakes Group 3. Being out of the Irish River mare River Dancer, Ballet Shoes was a half-sister to First National Building Society Irish 2000 Guineas Group 1 and Dubai Champion Stakes Group 1 winner and sire Spectrum. River Dancer herself won two Listed races and was also placed in the Prix Morny Group 1 and Dubai Poule d'Essai des Pouliches Group 1. Ballet Shoes best produce was Petrushka by Unfuwain whose five wins included Kildangan Stud Irish Oaks Group 1, Aston Upthorpe Yorkshire Oaks Group 1, Prix de l'Opera-Hotel du lac Barriere Group 1 and Shadwell Stud Nell Gwyn Stakes Group 3, she was also placed in the Sagitta 1000 Guineas Stakes Group 1. Ballet Shoes was the dam of four other winners including Danse Classique who was placed in the Harp Lager Ruby Stakes Listed. Airlie have retained an Indian Ridge daughter of Ballet Shoes called Chaussons. Gossamer was from the family of Smurfit National Stakes Group 1 winner Fatherland. She won two races and was the dam of six winners, the best being Boylesports Irish 2000 Guineas Group 1 winner Bachelor Duke. She was also the dam of Listed winner Translucid. Her 2008 colt by Smarty Jones was a dual winner and was placed in the Airlie Stud Gallinule Stakes Group 3. Gossamer's daughter, Kincob, by Kingmambo was retained by Airlie. She is the dam of Listed winner Gemstone and more recently a promising two time winner in Argentina, Karamela. Cinnamon Rose won her 3-y-o maiden at Roscommon. She became the dam of the tough filly Chelsea Rose whose five wins included the Moyglare Stud Stakes Group 1, she was also placed in the Audi Pretty Polly Stakes Group 1, United Arab Emirates Royal Whip Stakes Group 2, Premio Lydia Tesio Group 1 and Debutante Stakes Group 2. Chelsea Rose is the dam of De Ris-orangis Group 3 winner Thawaany. Airlie have retained an Invincible Spirit 2-y-o called The Fairy who is in training with John Gosden. Cinnamon Rose is currently in foal to Camelot. Discreet Brief was the winner of two races including the ACMC Park Hill Stakes Group 3, she was also placed in the Premio Mario Incisa Group 3, Bahrain Trophy Listed, Vodafone EBF Fillies Stakes Listed, Diana-Trial Las Vegas Slenderella-Rennen Listed. She is the dam of four winners including Steeler whose three wins at two included the Juddmonte Royal Lodge Stakes Group 2 and the Peter Willett Stakes (Stardom Stakes) Listed, he was also placed in the Pinsent Masons LLP Acomb Stakes Group 3 and Racing Post Trophy Group 1. Airlie have retained a winning Montjeu daughter of Discreet Brief called Minikin. Discreet Brief has a filly foal by Frankel and is in foal to Dansili. The Danehill filly Daneleta is a full sister to Noblesse Stakes Group 3 winner Danelissima. Daneleta herself was the winner of two races and was placed in the Anheuser Busch Railway Stakes Group 3 and the Tierce Magazine Canal Gd. Hp de Deauville Listed. She is the dam of four winners including Intense Focus whose two wins include the Darley Dewhurst Stakes Group 1. He was also placed in the Coventry Stakes Group 2, Leopardstown 2000 Guineas Trial Stakes Group 3, Prix Jean-Luc Lagardere (Grand Criterium) Group 1, One 51 Railway Stakes Group 2 and the Parknasilla Hotel Goffs (C&G) Million. Intense Focus who now stands at Ballylinch Stud is the sire of Group 1 winner Astaire from his first crop. 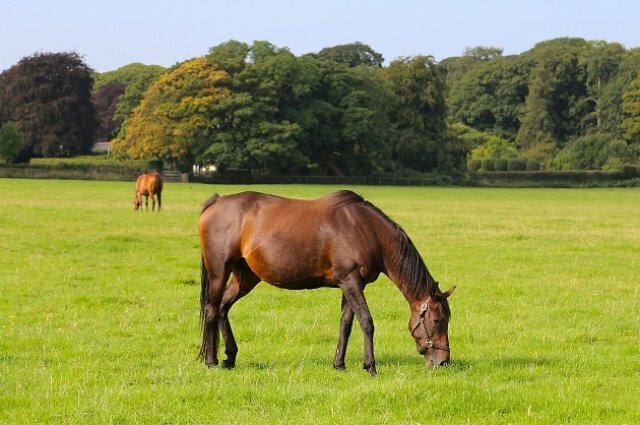 Daneleta has a filly foal by Galileo and is in foal to Shamardal. Princess Kris was a certain age when purchased by Airlie in 2005, however, Sonia had been looking to buy a member from this family for almost ten years. Princess Kris had already produced the Group 1 winner on grass, Prince Arch. Airlie sent Princess Kris back to Arch and retained the subsequent filly Arty Crafty for their broodmare band. The next mating for Princess Kris was War Chant. The resulting foal was called Kingsfort and he won the Group 1 National Stakes at the Curragh for trainer Kevin Prendergast. The final foal produced by Princess Kris, a filly by Arch, is entered in this years October Book 1 Yearling Sale at Tattersalls Newmarket. From the family of Group 1 winners Culture Vulture whose wins included, Dubai Poule d'Essai des Pouliches Group 1, Prix Marcel Boussac Group 1 and Brent Walker Fillies Mile Group 1, Polish Precendent whose wins included Prix du Moulin de Longchamp Group 1 and Prix Jacques Le Marois Group 1, Awe Inspiring whose wins included American Derby Group 1 and Flamingo Stakes Group 1, Zilzal whose wins included Queen Elizabeth II Stakes Group 1 and Swettenham Stud Sussex Stakes Group 1. Viz who is out of the Airlie bred mare For Example was the winner of two races including the Premio Giovanni Falck Listed, she also was placed in the Prix Panacee Listed. She is the dam of Viztoria whose four wins included the OLBG Park Stakes Group 2, Canford Cliffs EBF Athasi Stakes Group 3 and Anglesey Lodge Equine Hospital Blenheim Stakes Listed, she was also placed in the Criterium De Maisons-Laffitte Group 2 and the Qipco British Champions Sprint Stakes Group 2. Goldthroat was a winner as a 2-y-o. To date she is the dam of five winners including Zafisio whose five wins include the Criterium International Group 1, Prix Perth Group 3, Hessen Pokal Group 3 and Bluebay Stardom Stakes Listed, he was also placed in the Mehl-Mulhens-Rennen (German 2000 Guineas) Group 2 and the Solonaway Stakes Group 3. Goldthroat comes from the family of Group 1 winners such as Gilltown Stud Irish Oaks winner Colorspin, King George VI & Queen Elizabeth Diamond Stakes, Ever Ready Coronation Cup and Coral Eclipse Stakes winner Opera House, Jefferson Smurfit Memorial Irish St. Leger (twice) and Ascot Gold Cup (twice) winner Kayf Tara (GB).